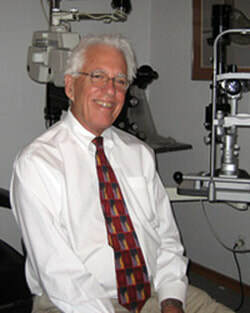 Dr. Evan Thomas has practiced optometry in Newport Beach since 1968, when he became an associate of Doctors Richard Button and Charles Crone in a medical eye practice. He now has an independent practice of optometry located near Hoag Hospital. Dr.Thomas provides general and therapeutic eyecare with an emphasis on contact lens fitting. He is a fellow in the American Academy of Optometry and a diplomat in it's Section on Cornea and Contact Lenses. 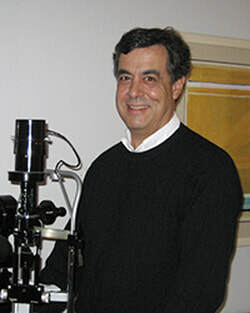 Dr. Canter is an opthalmologist specializing in glaucoma and works in our office Monday mornings and Wednesdays. She and her staff can also be found at her other location near Fashion Island. Dr. Monteleone has been an associate of our office for years and sees patients on Wednesdays. He did his undergraduate schooling at Syracuse University and graduated from Southern California College of Optometry in 1979. He has worked with MD's and OD's and maintains his own practice in LaPalma. He resides in Orange with his wife, daughter and son (twins). He enjoys spending time with his family and is actively involved with Hockey and Soccer in his community. Kendall is an experienced optician and has been with Old Newport Eye for 23 years. 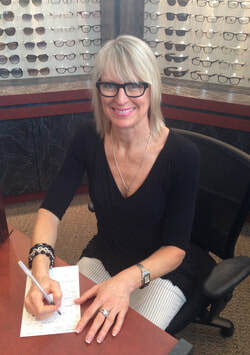 She specializes in giving excellent customer service as well as carrying the latest designs in eyewear and sunwear.